I know I've been a really bad blogger by falling off the face of the earth for a week and a half. It's just that I've had to deal with a lot of problems in the office and I was assigned (really, I have no choice in the matter) to coordinate my sister's upcoming wedding. You've heard about notorious Bridezilla's? Well, I'm afraid I'm turning into a Maidzilla of honor from all these wedding preps! Haha! My plate's really full at the moment, but I've managed to sneak in this quick post. :) The clothes I wore in this post all came from Thailand, by the way. I got them from the Pratunam area where shopping was recommended because the wholesalers are located there. I didn't need a polka dotted shirt before... but now I do. This looks great. And to be honest, I'm not ready for a wedding but I would love to plan one. Oh, you can help me then. It's stressful! Such a cute outfit! 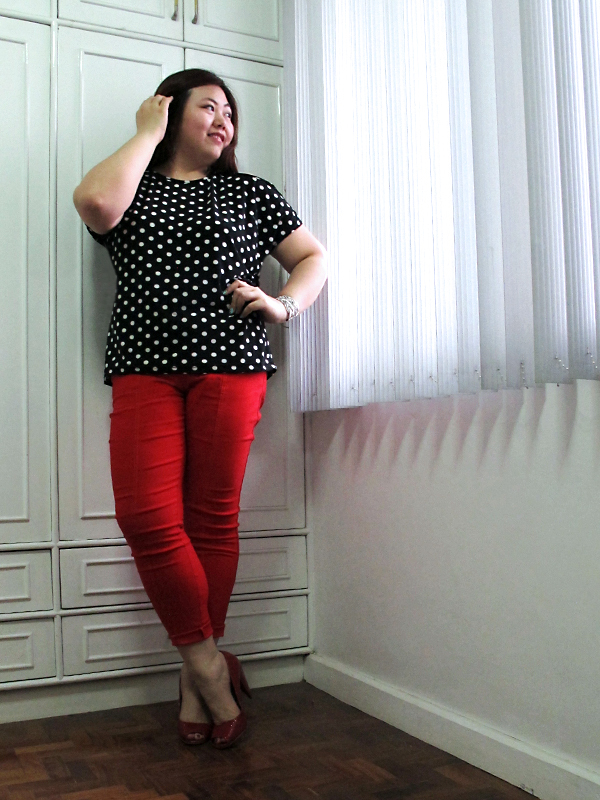 Love the classic colors and you can't go wrong with polka dots :) Lookin' good!! 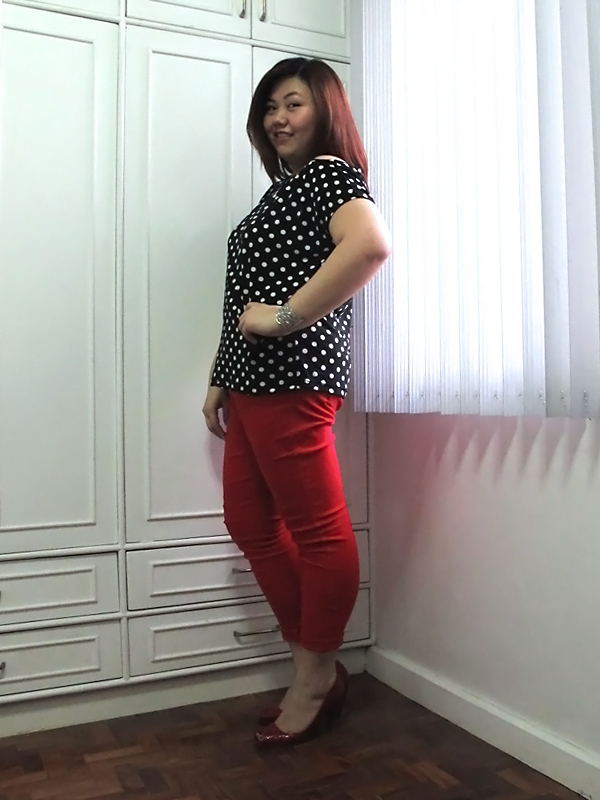 The red pants and polka dots look great together! I love it! Polka dots are so in this season! I love that you paired it with a bright, bold color. Looking fantastic! Great find in those red pants. I like the vertical line detailing. Cute polka dotted top! Love it with the red! I love your outfit!!! I feel a bit inspired to try a similar look now! Look at your polka dots. The outfit is so cute. Thanks for posting the photos and feel free to drop by me too when you have time. polka dots are my favorite, you wear them well!